Hide deals from seller "Imani Hair and Makeup"
Limit 1 per person. Valid on a women’s shampoo, haircut and style. Valid for shoulder-length hair; longer hair will incur an additional fee. By appointment only; must mention voucher when scheduling. Promotional value expires 60 days after purchase. Say hello to a new you with 52% off women’s haircare at Imani Hair and Makeup in Aurora ($25 value). 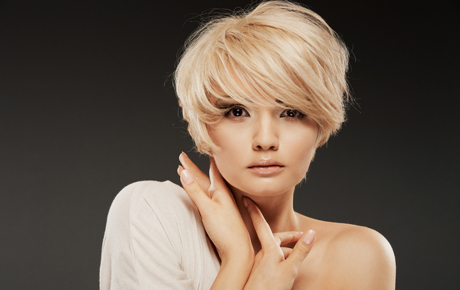 One of the skilled stylists at this salon will shampoo, cut and style your hair, providing you with a fabulous new look. Owner Susie is committed to providing each client with topnotch service and beautiful results. This new, spacious salon boasts funky décor and a comfortable waiting area in addition to their talented and creative stylists. Imani Hair and Makeup has a glowing reputation for unique styles and makeup, and they provide services for special events like weddings, graduations, sweet sixteen parties and quinceañeras. Look and feel your best with this gorgeous deal. Bilingual salon in Aurora offering high-quality haircare and makeup services.